By choosing Sequential Networks UK Cloud Reseller Programme you’re given a supplier that’s responsive, flexible and delivers a suite of business-critical solutions through our extensive and fully supported network of white label channel Partners. A Sequential solution meets the IT needs of most customers; and fits the business needs of any Partner. Partners reap the benefits of providing solutions delivered through an established Cloud environment: increased revenues, excellent margins, reduced cost of support and sales as well as a simplified support process. Our innovative, tiered, web-accessed Control Panels quickly and easily allow services to be provisioned, administered and reported. We have our own custom white label VOIP portal with billing also. We offer wholesale prices for all our solutions and new & growing revenue streams for our partners. There is an opportunity to offer your customers better levels of service coupled with significant cost savings. With complimenting background experiences our team’s knowledge and passion for succeeding have given us a platform to lead our clients in the right direction. Making sure we listen and understand business needs with proactively thinking of solutions. Committed to reducing carbon footprints for both us and our clients. 90% of our estate is virtualised meaning less power consumption plus with the addition of only selecting ultra-low refrigerant free 1.12 PUE Data Centers, this keeps our costs down with savings passed on to our customers. Continually investing in our infrastructure, we are able to provide robust solutions across multiple Data Centres with one single provider and network. Owning and managing our own network keeps us in total control. It never takes a day off… From ISO certified Data Centers, processes, IPS testing, firewalls, 2-Factor Authentication services right up to Business Continuity Planning, we have your data covered. 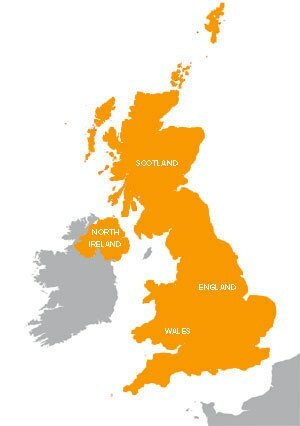 Direct access to our UK based ITIL service desk team. Guaranteed to acknowledge your call, support ticket and email 24/7. Things change, we know that! That’s why our account managers work in an approachable and flexible manner, fully understanding not every business is the same. We can have you set up on the MessageSteam cloud marketplace. ready to start within the hour. There are no set-up costs and no ongoing infrastructure costs - we only charge for active services. Our unique cloud marketplace has been specifically designed with our partners in mind. We don't set targets or expect minimum numbers, allowing our partners to work at their own pace. From knowledgeable technical support to help in closing those big deals, Sequential friendly team is a true partner to your business. Sequential Partners are offered a full suite of services from Hosted Desktop to VoIP, Connectivity, Cloud Servers and more.